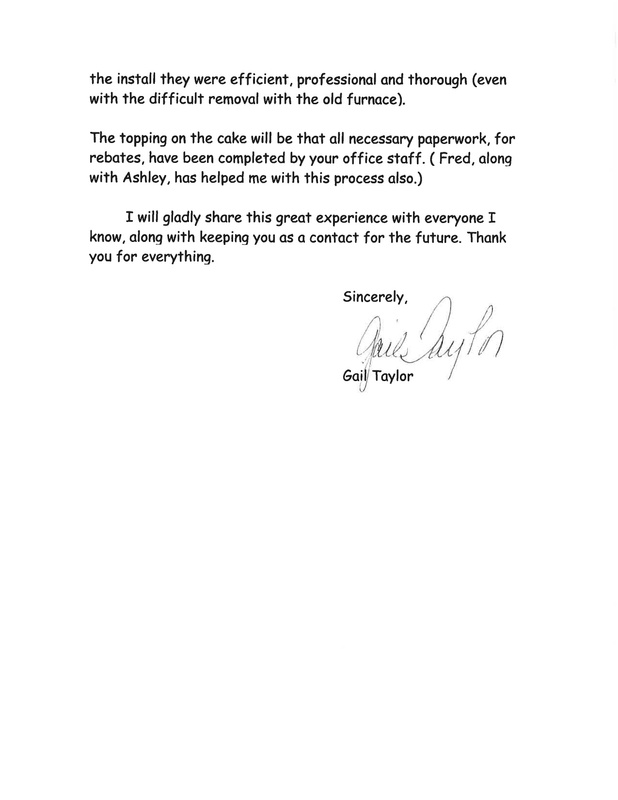 This letter is to share, with you, the wonderful experience it has been replacing my furnace with your company. Please let me preface this by explaining I am in management for an automobile dealership for more years than I’d like to mention and positive feedback is what businesses like and want to hear and share. With that said, I have had the most professional, efficient, courteous, pleasant and rewarding experience with your company. You also offer a product line that is reputable and of high quality. 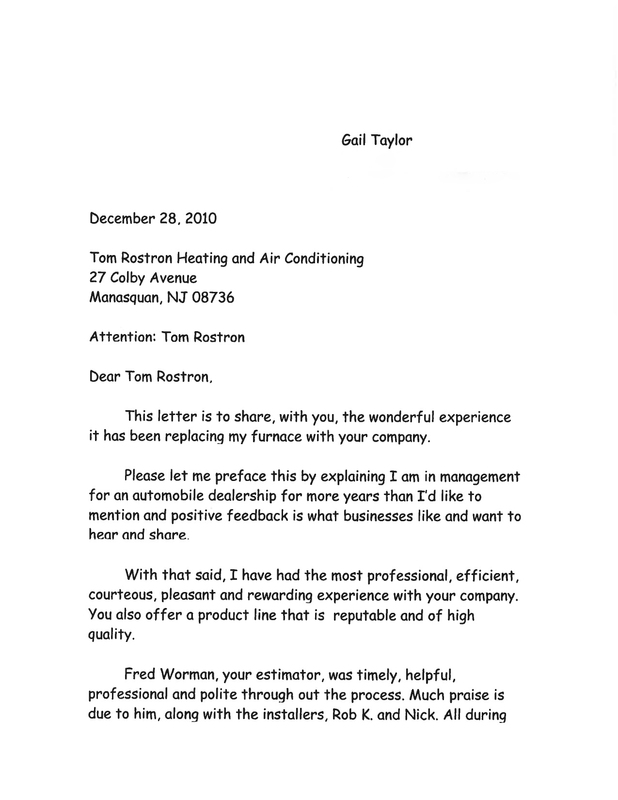 Fred Worman, your estimator, was timely, helpful, professional and polite through out the process. Much praise is due to him, along with the installers, Rob K. and Nick. All during the install they were efficient, professional and thorough (even with the difficult removal with the old furnace). I will gladly share this great experience with everyone I know, along with keeping you as a contact for the future. Thank you for everything.